Arizona requires a number of “jurisdictional” requirements t be met before the will issue a Decree of Dissolution of Marriage, Legal Separation or Annulment. This post is not necessarily meant to include every requirement, but instead outline certain mandates that people often overlook. First, the Court cannot grant any of the Decree’s set forth above unless at the time of filing of the petition, one or both parties were domiciled in the State of Arizona, in the County of filing for at least ninety (90) days prior. Moreover, if the particular petition filed includes requests for findings concerning legal decision making (custody), parenting time or child support of children, additional findings must be met demonstrating that the minor children to the action have maintained domicile or residence in Arizona continuously for a period of six (6) months prior to the filing of that Petition. In addition to the aforementioned residency requirements, presuming a non-covenant marriage between the parties, the Court will require that the petitioning party be able to say under oath that the marriage is “irretrievably broken” and that there is no possibility of reconciliation between the parties. Moreover, the Court will ensure that that parties were made aware that free counseling services may be provided through conciliation services and if the parties believe that could be of benefit to resorting their marriage, then the action will be stayed or put on hold until after such services are provided. It is not necessary that both parties request a referral to Conciliation services for free counseling services. In addition, the Court will want to know whether the Wife is currently pregnant at the time of dissolution of marriage, whether the parties have waited the appropriate period of time (60 days) from the date in which the petition was served, whether one or both parties are members of the armed services of the United States and potentially other requirements which are not set forth herein. 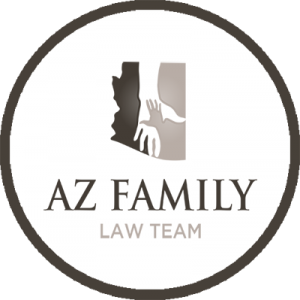 If you have questions on whether you qualify for dissolution, legal separation or annulment in Arizona, please contact our firm today for your no obligation consultation. 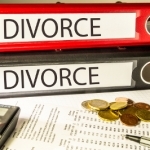 How Expensive is it to Get a Divorce in Arizona? Can I Change the Locks? Who Gets the House? 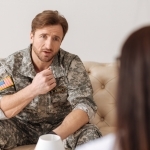 How Do I File for Military Divorce in Arizona?